WebMD Health Corp., the leading source of health information, today announced that Emmy Award-winning actress and Oscar nominee Glenn Close will receive the WebMD Health Hero People’s Choice Award at the Company’s Awards Gala on November 5, 2015, in New York City, and that Good Morning America co-anchor Robin Roberts is returning as the evening’s host. The WebMD Health Hero Awards are presented to individuals who are working to improve health and wellness by taking on a significant health challenge and giving back to others. In addition to honoring Ms. Close, WebMD will honor other inspiring individuals in the following categories: Advocate, Prodigy, and Scientist. Ms. Close was selected by the WebMD Community as this year’s People’s Choice Award Winner for her advocacy work around mental illness, a cause that has a very personal meaning to her. Ms. Close’s sister Jessie was diagnosed with bipolar disorder at age 51, and her nephew Calen lives with schizoaffective disorder. The family’s history inspired Close to launch Bring Change 2 Mind, a national non-profit that works to dispel myths around mental illness and to remove the barriers that prevent people from speaking up and seeking help for themselves or loved ones. BC2M is also educating a new generation to talk openly about anxiety, schizophrenia, bipolar, depression, and other disorders of the brain. In 2014, Close and her organization partnered with Indiana University to start UBC2M – the College Toolbox Project, which encourages students with mental health issues to get help and aims to reduce the stigma associated with mental illness. The organization also started a similar program for high schools, LETSBringChange2Mind. BC2M’s public service announcements have proven to be a most effective outreach method and educational tool. More than 2 billion people have seen BC2M’s messages in the media. BC2M’s work is starting conversations around mental health topics and saving lives. 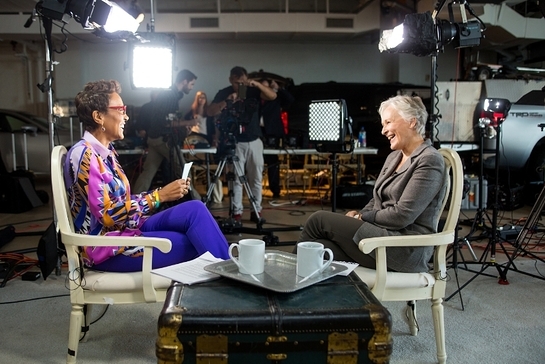 Ms. Roberts and her independent production company, Rock’n Robin Productions, in partnership with WebMD’s editorial team, are producing video features about each honoree, including an interview Ms. Roberts did with Close, which will premiere at the gala. •	Advocate: Someone who makes a difference in support of people who have a condition or a common health goal. This year’s Advocate Award will be presented to someone who is dedicated to improving the health and lives of our nation’s veterans. •	Scientist: A doctor or researcher who has found a creative approach to a complex medical problem. •	Prodigy: Whether by spreading the word about a worthy issue, helping others boost their wellness, or coming up with a way to improve care, this young person — under 21 — is changing people’s lives. WebMD will announce the names of the remaining 2015 Health Hero Award winners in late October. WebMD’s Health Heroes will each receive a $10,000 donation from WebMD to his or her cause and be featured in the November/December issue of WebMD Magazine. You can read more about past WebMD Health Heroes at www.webmd.com/healthheroes.